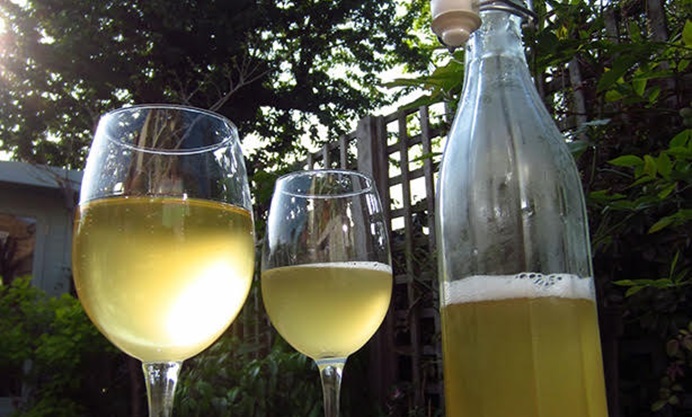 John shows us how to make the refreshing brew that's like a cross between a cider and a sweet wine in his nettle beer recipe. Just don't forget your gloves when out foraging! If you want to try cooking with this unloved weed in other ways, check out our How to cook with nettles guide for recipes inspiration and tips. Stinging nettles: a plant that everyone in the UK can easily recognise and with good reason, I am always going on about the edible and medicinal virtues of this amazing native greenery. Delicious in nettle soup (especially with wild garlic), omelettes, tarts, curries, nettle aloo (in fact any dish where spinach would normally feature) or just as a steamed or wilted vegetable in its own right. Last, but definitely not least, is the wonderful nettle beer (not the horrid hippy brew it sounds like, but a delicious cross between cider and a sweet wine, not really a beer at all). The tiny formic acid filled hairs that cover the stinging leaves, “melt” when cooked, but I wouldn’t recommend them in a salad unless you want a very swollen mouth. 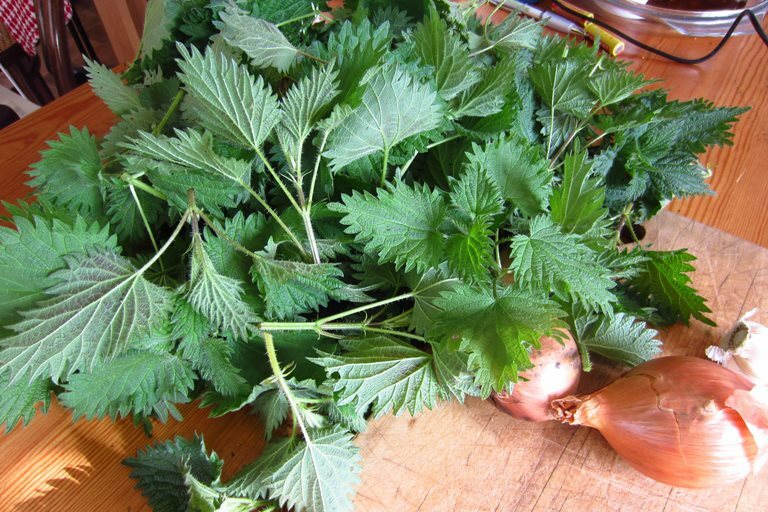 Nettles are a massive 40% protein and a genuine super food! A single portion contains as much protein as a sink full of kale. They’re rich in potassium, Vitamin A, antioxidants and silica which help promote hair growth and ease joint pains. 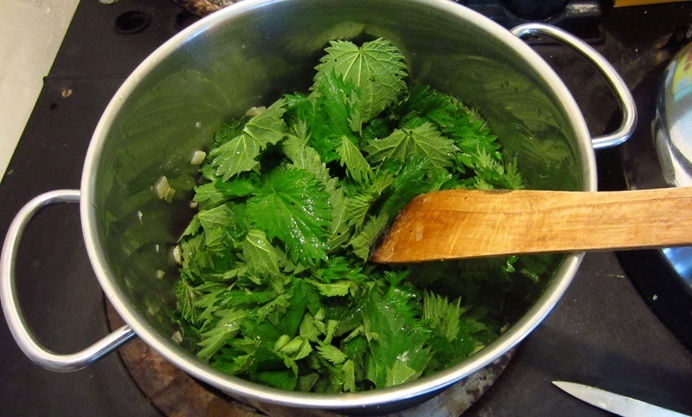 Lastly, nettles are jam packed full of iron, so excellent for vegetarians, vegans, anaemia sufferers or during pregnancy. Nettle beer is ready to consume in just a week from picking, but I’m never sure how alcoholic it is; I have a hydrometer but rarely bother with anything so specific in any of my recipes. Nettles are a great “cut and come again” plant, so if your local patch has got much too tall and the nettle tips too robust (and full of gritty crystals) you can cut them down and come back for the delicious new growth a couple of weeks later. If you have not done any siphoning before, this is the fun bit and just requires a bit of plastic tube ... look on YouTube for demos but ignore most of what they say, it’s really simple. I usually leave it in the bucket for three to five days but I have read of people leaving it up to two weeks…basically, you need to let the first fermentation stage do its thing or your bottles will explode in dramatic fashion. There are loads of recipes on the internet to mix and match ideas and get the best result and taste (I have read of people adding lots of grated fresh ginger which sounds terrific, as nettle beer does taste a bit like a ginger beer too). This makes about a dozen normal sized bottles. To work out how alcoholic it is you could try drinking it all in one go and then compare this experience to drinking 12 shop bought beers. Take notes though, this is serious scientific research! John Rensten, is one of the country's most enthusiastic and knowledgeable urban foragers.